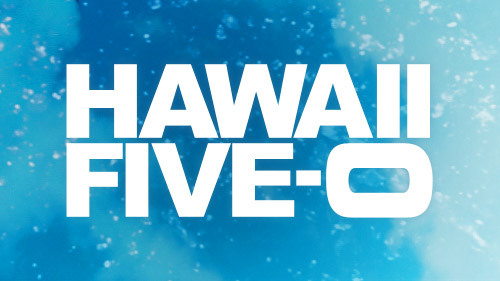 Related Hawaii Five-0 video – Check out some more news when it comes to the CBS series at the bottom of this article! Meanwhile, be sure to subscribe to CarterMatt on YouTube for some further updates and check out our official playlist. In a new post on Twitter, Collins herself confirmed that she recently filmed a guest spot on the CBS show, and we have some more insight as to precisely who she played. Per TVLine, she is Amanda Savage, the mother of Danny’s ex-wife Rachel and someone who comes to the island as a part of a book tour. As it turns out, she’s going to need the help of Five-0 to be her security team. It doesn’t seem as though this was the original plan, so we have to wonder precisely what led to this being necessary? Is it possible that something happened that caused her to need a little bit of added security? You have to imagine so. Ultimately, the part of this casting news we find the funniest is that she does show a fondness for one of her new bodyguards-of-sorts — but it’s not Danny. Instead, it turns out that she rather likes Steve, which is probably going to make Danny rather upset and lead to plenty of bickering. Would it really be Hawaii Five-0 without it? What Collins’ casting proves more than anything else is that Hawaii Five-0 does remain one of the best shows on TV when it comes to finding big-name actors for guest spots. They have such a unique roster that includes everyone from Gladys Knight to Jimmy Buffett to Nick Jonas to Dog the Bounty Hunter to now Collins. We do wonder if some of it is tied to the simple fact that people want to vacation on Hawaii while doing a little bit of work, or if it’s just that this show promises a chance to have a little bit of fun while taking part in something with a bit of an action-movie atmosphere. Maybe it’s both. Anyhow, consider this one more great thing worth looking forward to as this season goes along — we know that this show has some other interesting stuff planned, including more big cases and also an emotional installment in early February that puts Chi McBride’s character of Lou Grover front and center.